Ireland isn’t a cheap place to holiday, so what can firms do to make it a worth the money for visitors? Today is the highlight of the St Patrick’s Festival, which started last Thursday and will continue for another few days. For the last few years it has become a week-long programme, full of activities and fun. It used to be just a one-day event. Now how did that happen? We can thank the St Patrick’s Festival team, headed up by CEO Susan Kirby. But this very clever national marketing campaign is typical of what is also coming out of Failte Ireland. What it has created in recent years is an inspiration for the marketing teams of any business. With its strategy of regionality and seasonality, it has developed products to encourage visitors to every corner of the country. This includes the newly-launched Hidden Heartlands, which now links The Wild Atlantic Way with The Ancient East. With this strategy, the seasons are being extended beyond the obvious summer period to make Ireland an attractive destination all year round. Festivals like ‘May the Fourth Be With You’ in Kerry and the focus on the corporate Mice (meetings, incentives, conferences, events) market is intensive. And it’s working. Last year we had 9.6 million international visitors and 9.8 million domestic ‘staycationers’. In total they spent €7.8bn, providing employment to 260,000 people. For a small country, those numbers are amazing. There are some challenges nevertheless. Brexit is an obvious one that is likely to impact on visitor numbers from Britain and Northern Ireland. Airbnb is also a big threat to traditional accommodation providers. But the bigger issue is one of pricing. As a nation, we are seen to be expensive. 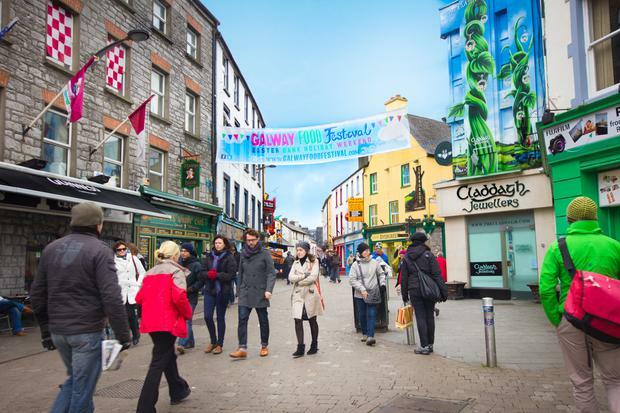 When presenting an upbeat strategy for 2019, Failte Ireland CEO Paul Kelly referred to the “softening of Ireland’s reputation as a value-for-money destination”. The Vat increase, new minimum wage, and rising insurance costs all add to that. We charge premium prices compared to other lower-cost destinations. Premium as a strategy for ‘Ireland Inc’ is okay — provided the customer gets a premium experience to match those prices. Imagine if in your business you tried to get premium prices for a poor customer experience, where would that lead you? Against a very competitive backdrop and rising customer expectations, that’s something we need to watch-out on. There are a number of issues here for consideration to reverse the growing negativity about value for money, that are totally within our control. 1 Reboot and refresh the customer experience in your own business. Before the season kicks off in earnest, stand back and take a fresh look at your proposition. Your customers judge you on your ‘product/service’, your ‘place’ and your ‘people’. Is your hotel with four stars being pulled down by a two-star receptionist? Is your taxi or bus clean and comfortable? Is the standard of your restaurant food matching your prices? Is your B&B up to the standard of your prices? 2 Embrace ‘destination thinking’ by engaging with your local tourism associations. Be magnanimous and think beyond your own business. Picture a visitor coming to experience The Wild Atlantic Way. They possibly experience online booking in advance; then arrival at port; road/rail infrastructure; transport; first impressions on arrival at accommodation; check-in; concierge; the bedroom; dining/bar facilities; entertainment; and so on until their departure. Where does your business fit in to that chain? 3 Look at how we as independent business-owners can work together in our local area to promote our town. Like passing the baton in a relay race — are our visitors getting a consistent premium experience in all moments of truth or are they getting mixed and confusing messages? How can you play a key role in ensuring that the customer experience in your overall destination is premium? There are three aspirations common to every business. Firstly, you want customers to buy from you today. Secondly, you want them to come back again in the future. And thirdly, in a world where review sites wield such influence — we want our customers to recommend us to their friends. You won’t be surprised to hear that there is so much research that proves that the single most significant driver of those three outcomes is the quality of the experience that customers have. Let’s not look and seek to cast judgement on others until we get our own house in order first. It doesn’t mean that we all have to be four- and five-star in our premises or product offering. But if we want to be true to our reputation for ‘cead mile failte’, then we should encourage our people to be the best they can be in their interactions with visitors.